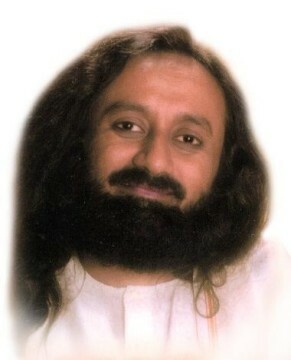 Gurudev, it is said that music affects the chakras. Could you please talk about specific instruments and their effect on the chakras. The drums affect the Mooladhara (the base chakra or the first chakra). The big and small drums, their effect is from the Mooladhara to Swadishtana (second chakra). The big wind instruments like trumpets affect the second to third chakra (Swadhisthana to the Manipura). Metallic sounds affect the Manipura to Anahata (the fourth chakra). When you hear a metallic screech, something happens in your belly. How many people have noticed this? The string instrument has its affects from the naval to the heart. Veena and Sitar – stringed instruments affects the Anahata (the heart chakra). What is the cause of conflict in the world? Is it possible to eliminate conflict completely or does it have a role to play? Conflict unites good people, otherwise good people don’t come together. Conflict is part of your nature and resolving conflict is also a part of your nature. Human dignity is to resolve conflict. Terrorism is the biggest challenge of today’s world, it needs to be attended to. It can be attended when people become more conscious and realize that we are a all part of one family in spite of all our differences. The sign of intelligent people is that they celebrate the differences and diversity. Gurudev, Vedas are said to be of non-human origin. What does that mean? Vedas are simply downloaded information. The Rishis went into deep meditation and what they saw and heard they started sharing. There is a beautiful story that I would like to share with you -- Vedavyasa went to the creator and asked him to please give him knowledge. The creator pointed to a shining mountain and said, "That is knowledge, whatever you can grab you can take". So what he could grab with his hands, that is what the Vedas are today. More than one thousand saints went into deep meditation and whatever they cognized are the Vedas. Ayurveda has a similar story. There were 88,000 saints gathered in a place. They wanted to bring health to the society and so they all gathered to meditate. 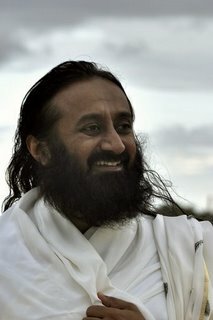 They needed someone to write down what they cognized and so one of the Rishis, Rishi Bharatwaja volunteered to not meditate and write down what the other saints downloaded while meditating. Today, it is a perfect science – which herb will affect what part of the body. It is a material medica of an entire species not just human beings. It is amazing. The more you go into it, the more you will find the knowledge amazing. 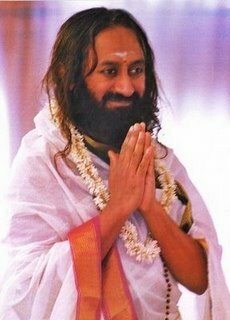 Gurudev, in Yoga Sutras, it says that the purpose of yoga is to remove misery. Isn’t there a spiritual purpose of yoga? Yes, it is preventing the misery which might come. It eliminates the sorrow that might come in future. The root cause of sorrow is eliminated by yoga. It is just a by product. It is not the end of it. There is a story in Yoga Vashishtha that a crow named Kakabhushundi which lasted after dissolution of the world? What is the significance of this story? Yoga Vashishtha is very mystical. You know, some of these latest movies are based on Yoga Vashishtha - like The Matrix and Inception. Yoga Vashishtha is very deep and has multiple meanings. It takes you to another dimension.